Meanwhile prepare rice according to package directions, adding chili powder with the rice. Remove from heat. Stir in corn, salsa and chopped cilantro. Let stand, covered, 5 minutes. 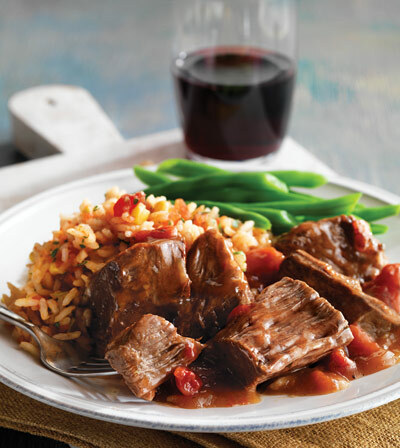 Serve pot roast with rice and sauce.